Your master bedroom’s bedding design is one of the first noticeable things in every bedroom. Aside from its ability to set the tone for the fabrics that you choose – a proper bedding set can help you determine the comfort level of your bed. Simple And Classic – The best bedding sets and collection nowadays are made of simple and classic fabrics and often feature a white down comforter with matching shams. Patterned And Pretty – Patterns are in this year – not to mention that they can make any bed a focal point in the bedroom. When mixed with oranges or yellows, patterns and stripes can look amazing. 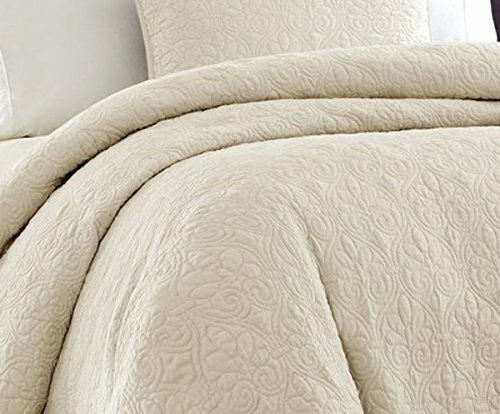 Comfy,Cozy And Billowy – Your bedding should not only look good – it should perform good too. This is why choosing the best materials matters, both in terms of functionality and comfort. Single-Toned And Swappable – By choosing one hue for your bedding design, you can keep things minimal and relaxing. You can add a deep saturated color for a more masculine or lighter look as well. When choosing a master bedroom motif, you should coordinate your bedding with your bedroom’s furniture or at least make it fit with your bedroom. Below, we are listing the five best bedding sets and collections handpicked by our experts. 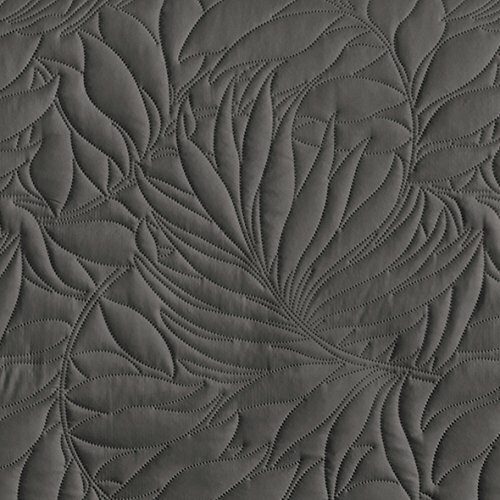 This quilted bedroom collection is available in many colors such as Ivory, Khaki, Seafoam, Blue, Navy, Grey, Red, Yellow And Blush. According to many, this is the perfect 100% cotton filling which is comfortable and classic. Speaking of, the superior quality fabric is ultra-soft, wrinkle resistant and more durable and breathable. It is also hypoallergenic and allergen-free – perfect for master bedrooms and guest rooms too. All you need to take care of this amazing bedding set is to machine-wash it on a cold and gentle cycle – as well as separately. If there is no free movement in your washer/dryer, use large capacity commercial washer or dryer. 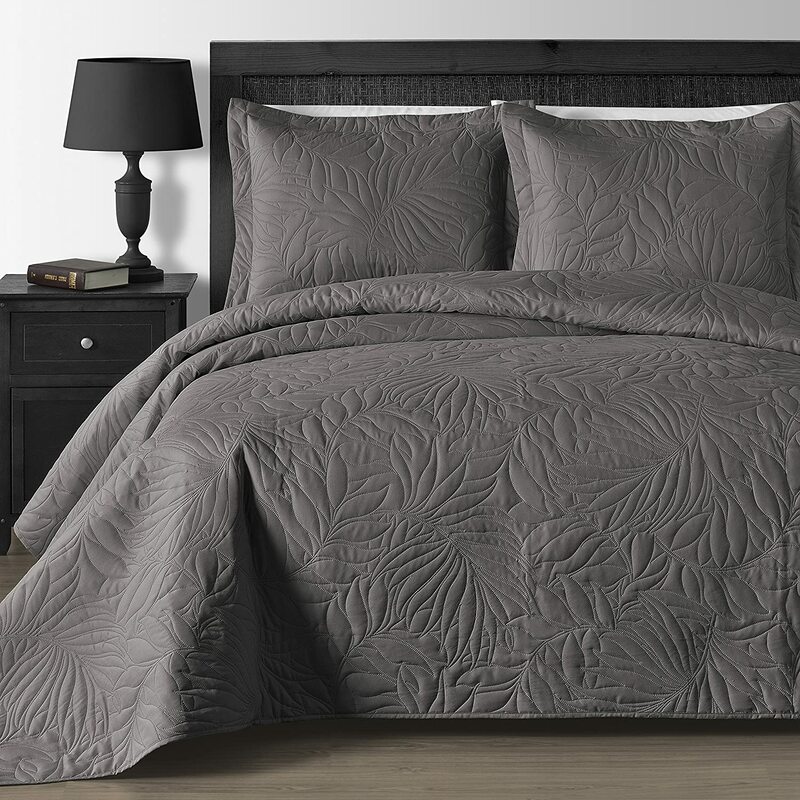 Whether you want a full queen size bedding set or a twin (or twin XL) set, this is one of the best bedding sets out there. 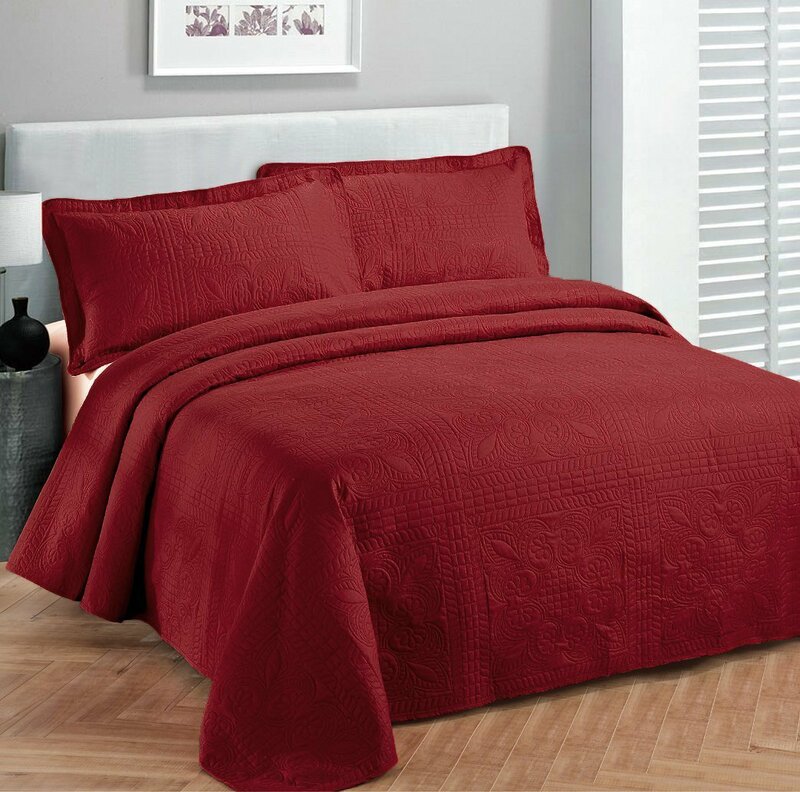 The entire pack includes a 86 x 90 inch comforter, 90 x 102 inch flat sheet, 60 x 80 inch fitted sheet, two 20 x 26 inch shams, as well as two 20 x 32 inch queen pillowcases. All of the pieces in the set are conveniently placed and designed to complement each other – producing a complete and stylish bedding design. The fabric is 100% polyester which is a texture that is gentle and soft. Made under specific standards and an independent certification (OEKO-TEX Standard 100), this is one of the bestselling bedding sets on the market, safe for you and the environment. 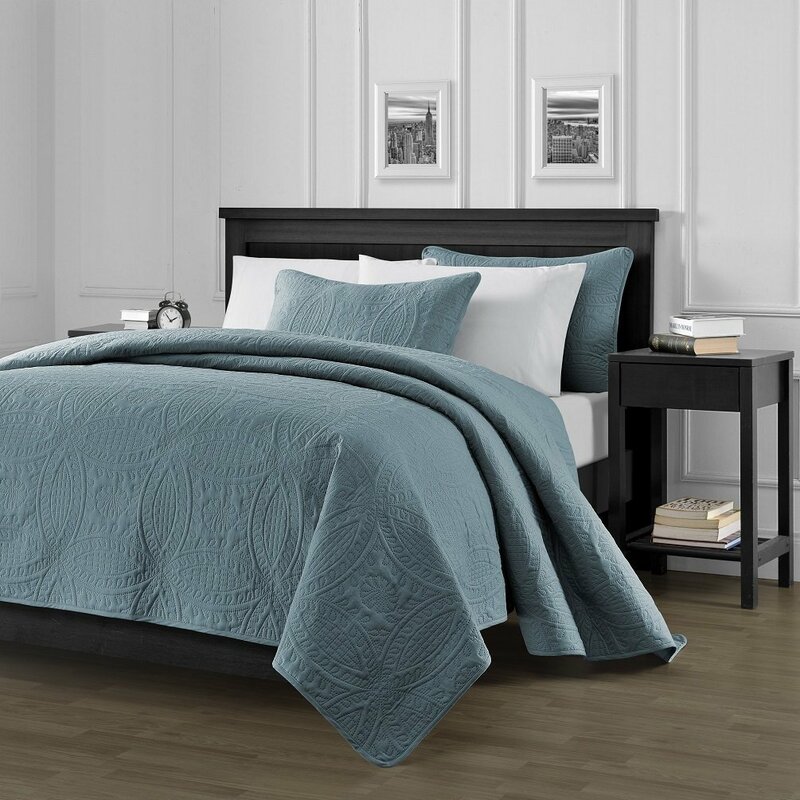 If you are looking for an extra lightweight bedding set that won’t be a strain to remove and carry to your washer and dryer, this is definitely an option to consider. The color palette includes Stone Gray, Pink, Lavender, Beige, Bright Turquoise, Light Lime Green and Stone Grey. All of these options are great and designed to complement the most popular bedroom decor styles. As we mentioned above, the extra lightweight features will give you a feeling of comfort and freedom. The microfiber filling is evenly distributed by small and uniform partitions – providing a smooth feel and comfort. Just like many of the best bedding sets, the Comfy Bedding Extra set is available as a full/queen size set and a king/oversized set (FULL/QUEEN size set includes 1-FULL/QUEEN oversize coverlet 100″ x 106″ & 2-STANDARD pillow cases 20″ x 26″; KING/CALI KING size set includes 1-KING/CALI KING oversized coverlet 118″ x 106″ & 2-KING pillow cases 20″ x 36″ each). Another great option for a bedding set is this model by Chezmoi. 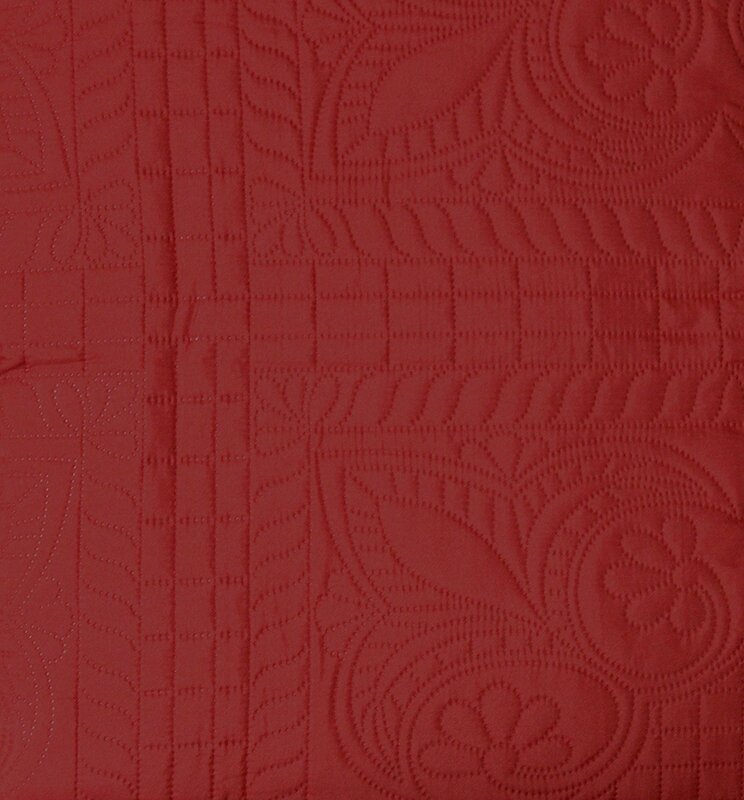 Imported, microfiber-based and including oversized options too, there is one bedspread with dimensions 100×106 inches and 2 shams 20×26 inches each. 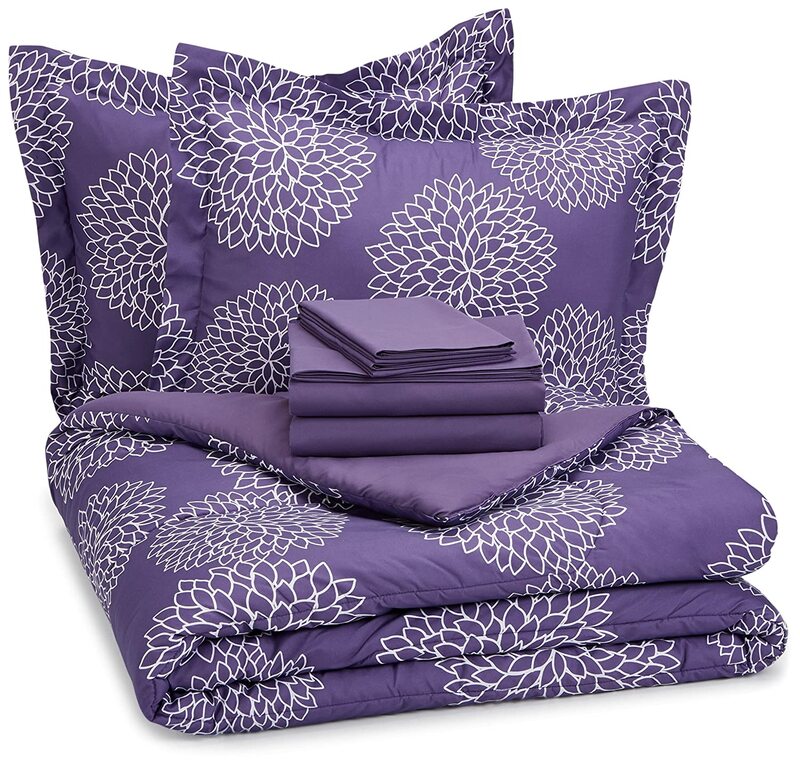 This bedding set is 100% machine washable and easy to maintain. The color palette features 13 different colors in every shade of blue, green, beige and brown. The material, on the other hand, is thin and light as well as covering up most of the huge beds in a great way. The Fancy Collection three-piece bedspread set features three options – Twin/Twin XL, Full/Queen, King/California King. There are two pillow shams included and the entire bedding set is machine washable. According to most of the satisfied customers, this is one of the best bedding sets because of its practicality, nice looks and easy care condition. If you have a footboard, the bedding set can tuck in under your mattress – allowing you to make the bed in less than 5 minutes. Lastly, there is a nice color palette that lets you choose the perfect shade for your bedroom. In the end, coordinating your bedding is the most important thing to do when choosing a bedding set. For example, if your bedroom’s furniture and walls are with stripes, patterns or other tones – it would be best to choose a bedding set in a single color. On the other hand, if your room is decorated with solid colors, a pattern or stripes can work perfectly fine.